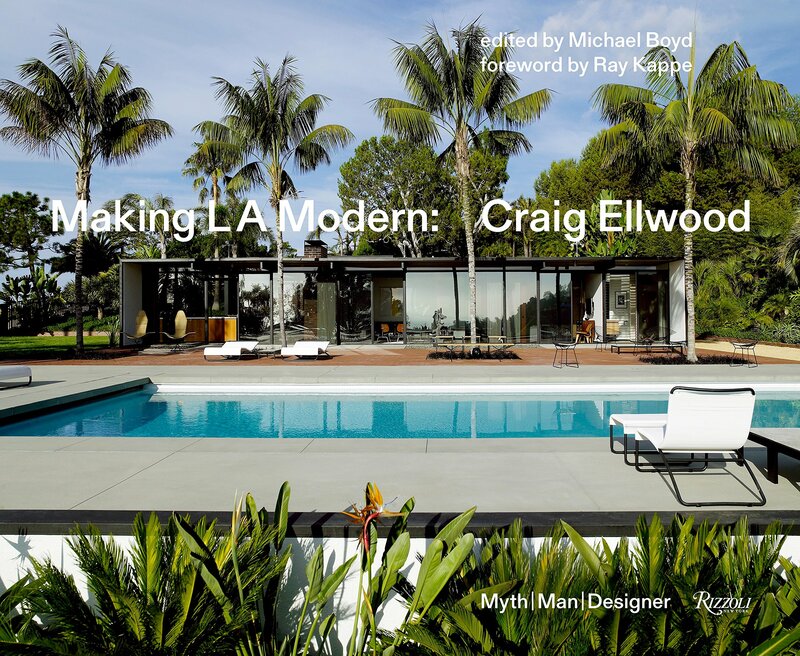 MAKING L.A. MODERN: Craig Ellwood—Myth, Man, Designer, edited by Michael Boyd, has just come out from the legendary publishing house of. This book is the definitive volume on visionary architect Ellwood and his legacy in mid-century modernism, which celebrates and explores the glamour of Ellwood’s work and life and the iconic projects that he created in Southern California during the 1950s and 60s. Ellwood, also a designer and tastemaker is often called the “California Mies van der Rohe.” His approach to Modernism is rooted in detail and these houses built by Ellwood in the 50s and 60s have all of the warmth of more traditional architecture and all of the detailing of grand classical architecture; you want to spend time in these spaces. There is much to learn from this book about a purist perfectionist and his light touch that made massive things feel like they were floating with a subtle, calibrated approach to proportion and detail.